Mr. Black carries with him an array of choreographic and directing credits ranging from the musical theatre stage to the concert dance arena. While at UNC, he has choreographed 42nd Street, West Side Story, Brigadoon and Carousel for the Musical Theatre Department and directed and choreographed Footloose: The Musical. He has also choreographed The Music Man, Chicago, Joseph…Dreamcoat, Fiddler on the Roof, Damn Yankees, Annie, and AIDA for the Little Theatre of the Rockies; as well as Directed and Choreographed The Full Monty and SWING! for their summer season. Mr. Black also is the director/choreographer of an annual fall dance/theatre production based on the holidays of Dia de los Muertos and Halloween entitled Miranda's Nightmare. 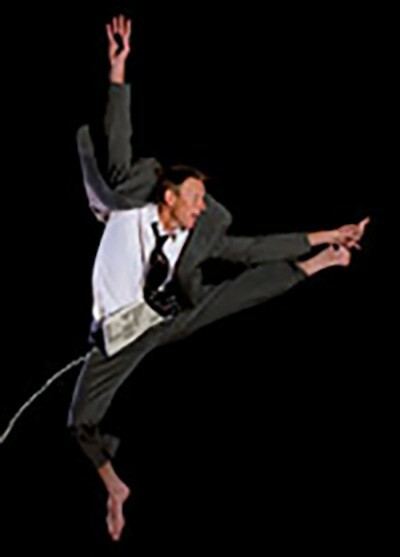 He has also choreographed numerous pieces for the annual CPVA Gala and for main stage dance concerts. His latest works include a full-length modern ballet entitled Dierdre of the Sorrows, based off of Irish mythology, and a one act Dance Theatre project set to the music of the Airborne Toxic Event entitled Punks: A Love Story. His interests in jazz, modern, dance technology, collaborations with other artists and his vast performance history make him a vital and inspiring artist and teacher. A high energy up-tempo jazz dance class culminating in a musical theater style combination. Prepare for a fun warm-up that includes body isolations and working/learning steps coming across the floor.